On this Day in History - keepsake memento for birthdays, anniversaries, and other special days. A suitable-for-framing keepsake memento that commemorates people's birthdays, anniversaries, and other special days. 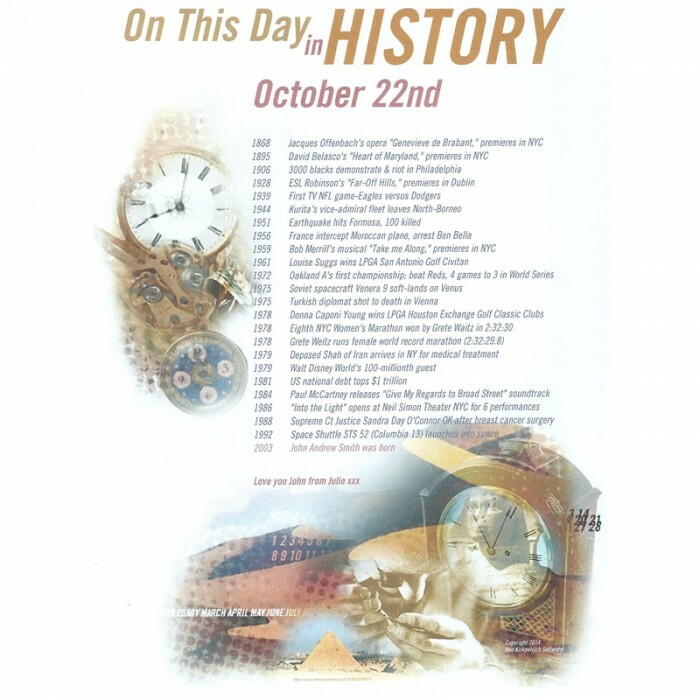 A full-colour listing of 25 events that happened throughout history on that day. 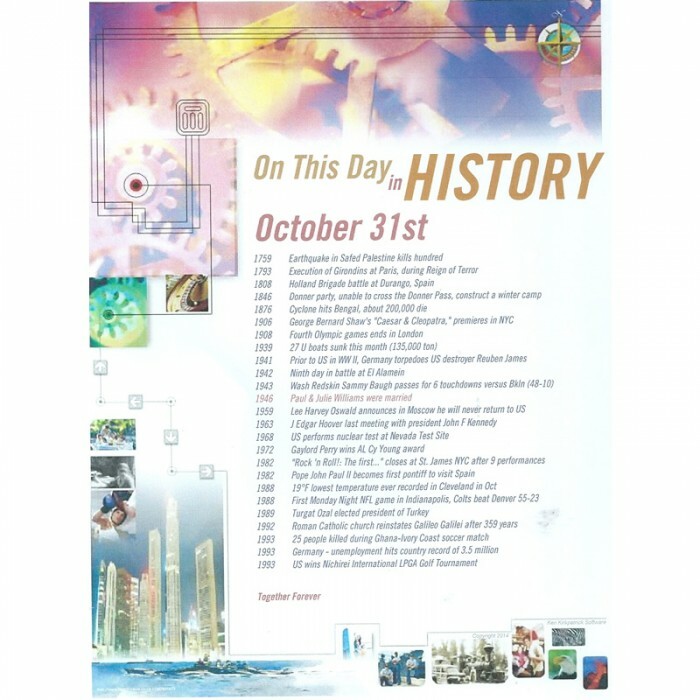 With our huge database of 200+ events for every day of the year, we can produce printouts for employees, clients, or business colleagues, year after year, and each printout will be unique and stunning, personalised printout of historical events that took place on that day.